Evidence-based medicine (EBM) and Evidence-based practice (EBP) are sets of standards and procedures created to search, verify, and select up-to-date findings implemented by medical staff as a basis for decision-making process in a daily clinical practice. Despite efforts of scientists and clinicians, neurorehabiltiation is regarded as a difficult area for EBM/EBP practices due to huge diversity of cases, clinical pictures, interventions, and scientific methodologies. More advanced tasks, including application of brain-computer interfaces and neuroprosteheses, show the need for a new approach from medical practitioners. This chapter presents challenges, barriers, and solutions in the aforementioned area based on the personal experiences of the authors. 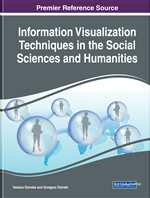 Visualisation tools provide cognitive support for social context, cooperation patterns, and data interpretation. Taking into consideration that social issues may extend the visibility of the results and allow for easier dissemination of the results, the aim was to show how visualisation helps identify cooperation networks and disseminate research results. Neurological diseases are popular in main population and constitute one of the main cause of disability in adult people. Interdisciplinary rehabilitation teams deal with neurologically disabled patients applying the newest methods, drugs, and approaches to rehabilitation process (Członkowska & Sarzyńska-Długosz 2002). Rehabilitation should start as early as possible (Hömberg 2010). Integrative neurorehabilitation science based on dedicated rehabilitation research focused on neurorehabilitation is necessary (Kwakkel 2009; Gillen 2010). Therapeutic procedures should be evidence-based and modified to find patient-tailored solutions. General rules derived from neuroscience confirm their usefulness in designing new therapeutic techniques in neurorehabilitation. (Hömberg 2010). Searching and reading the research literature seem be essential activities for enhancing the use of research and optimizing the quality of current clinical practice in neurorehabiltiation (figure 1). From the other hand neurorehabilitation is regarded very hard area for EBM/EBP practices, especially due to huge diversity of cases, their clinical pictures, interventions, and scientific methodologies. Thus neurorehabilitation may be perceived clinical area with lacking evidences (Grimmer-Somers et al. 2007; Iles & Davidson 2006). Acceptability to patients and assessors (Prokopowicz et al. 2017; Jette et al. 2003; Stevenson et al. 2004; Palfreyman et al. 2003).